Turnbury Gates is a stunning, private, gated enclave of 82 luxurious residences and select homes with golf course views that is currently in the Phase One Closeout Sale with units reduced up to $100,000. 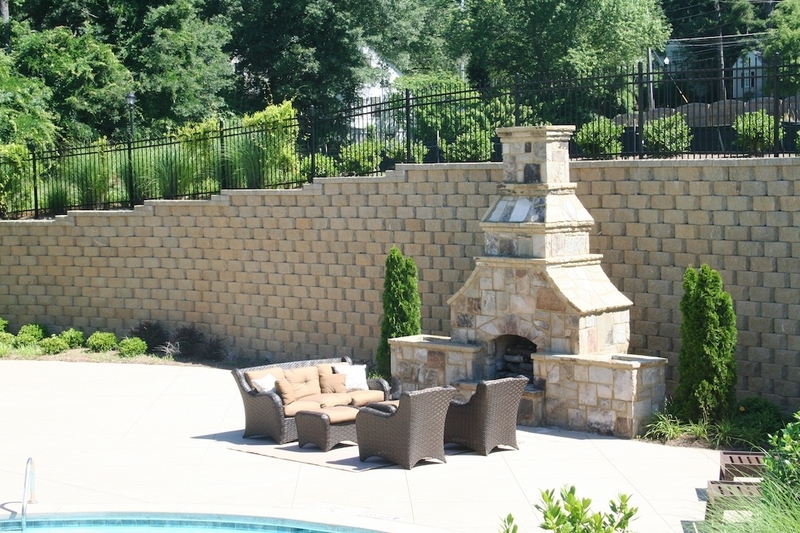 Boasting a beautifully landscaped pool, spectacular pavilion, stone fireplace and exclusive open-air entertaining area, Turnbury Gates was developed with an intimate yet captivating site plan in mind. 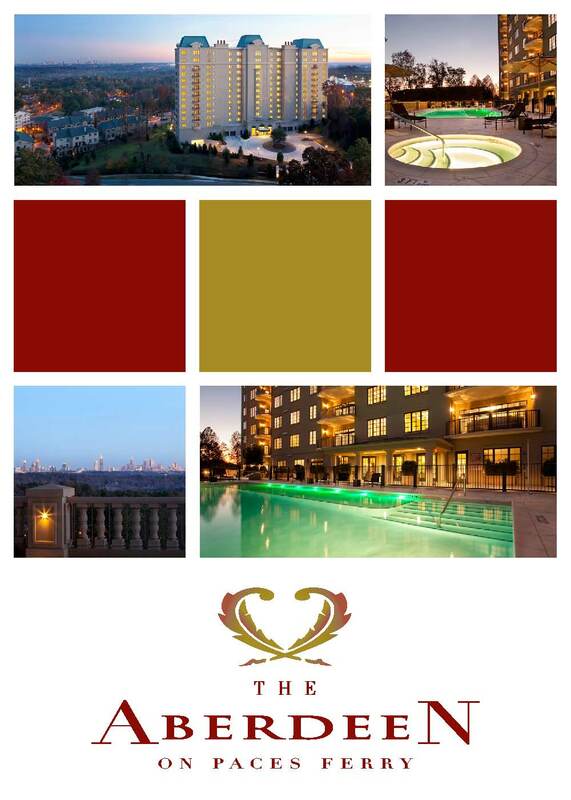 This exclusive location affords easy access to it all; shopping, dining, entertainment and nightlife in Buckhead and Brookhaven; Lenox, Phipps and Perimeter Malls; Emory University and premier medical facilities including Northside Hospital, St. Joseph’s Hospital and Children’s Healthcare of Atlanta. Inspiring architecture truly creates a charming feel throughout Turnbury Gates. Beautiful covered porches with standing seam metal roofs pepper the community’s board and batten siding, cedar shingle and brick exteriors for a darling atmosphere. 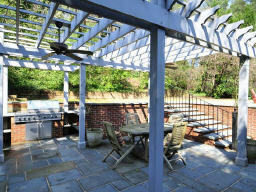 Each unit’s custom interior imparts the best of the best. 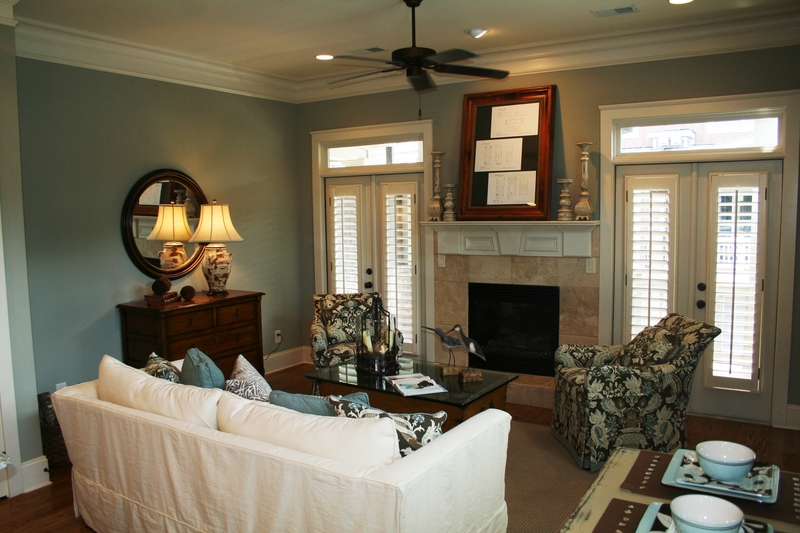 Coffered and wainscoting ceilings are featured in the Great Rooms along with cozy stone surround fireplaces. Wide plank hardwood floors gleam throughout the main levels. 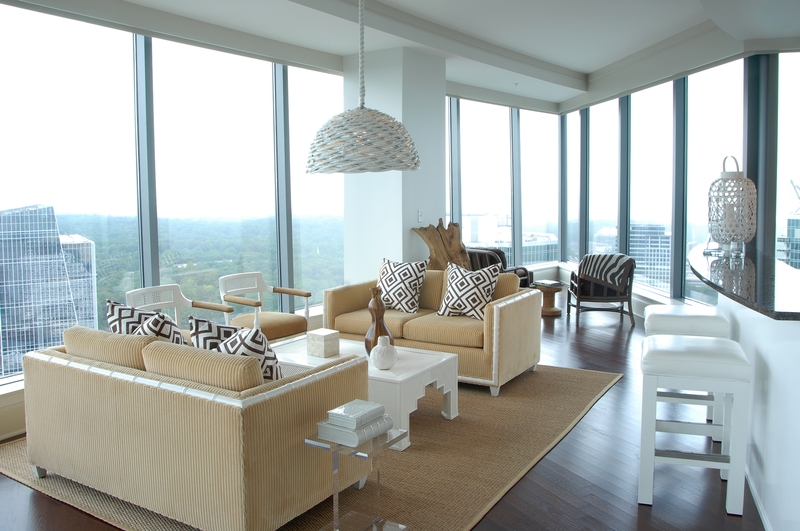 Designer carpet selections cover both the terrace level and each bedroom. Ten foot ceilings on both the main and upper levels are complete with detailed trim for a rich ambience. 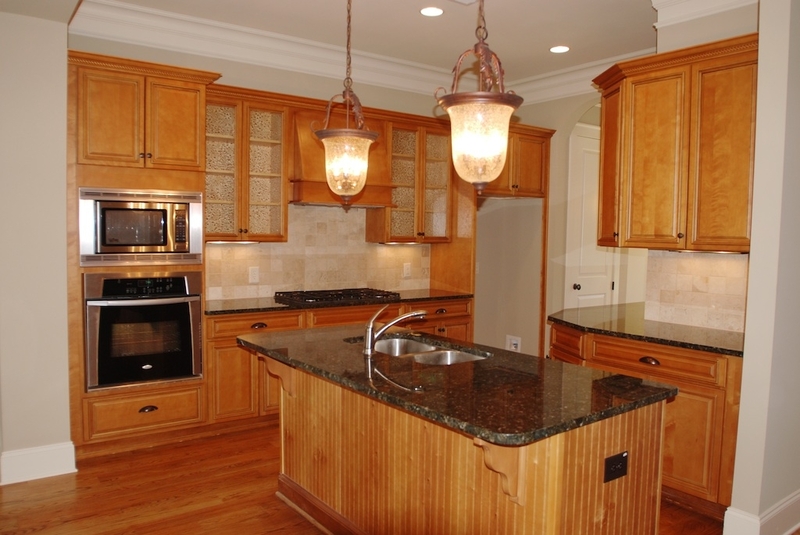 The Chef’s kitchen is sweeping with must have items such as granite countertops with under mount sinks, under cabinet lighting, custom cabinetry throughout and stainless appliances. Featuring a large walk-in closet, spa inspired master bath with walk-in shower and soaking tub with stone deck and granite or travertine vanity counters, the master suite is a perfectly luxurious retreat. The custom interiors are finished with Delta plumbing fixtures in oil rubbed bronze finish and designer paint colors throughout. 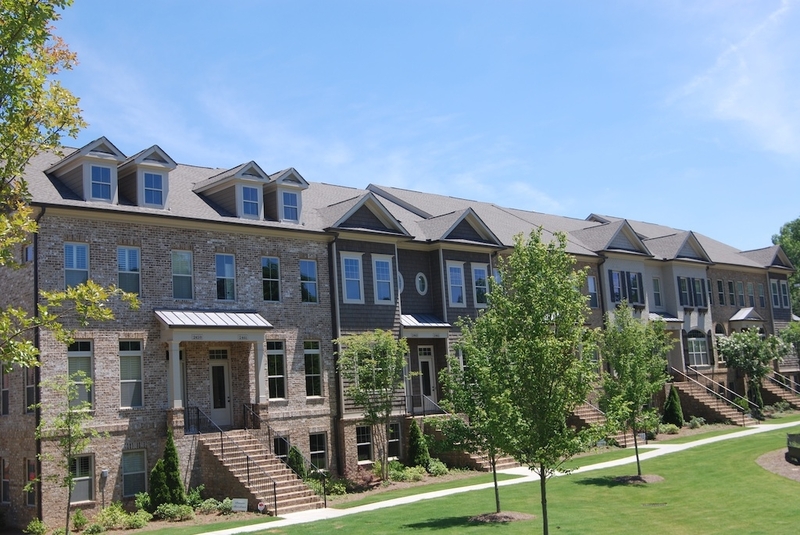 With two and three bedroom plans now available starting at $269,000, Turnbury Gates is certainly the place to be for all things luxury and charming in Atlanta. These units will not last at the greatly reduced prices. 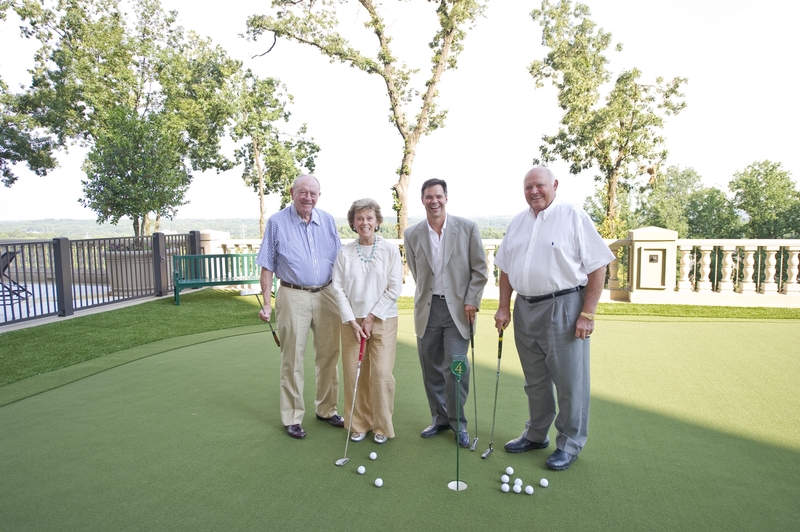 On June 23rd over 150 guests gathered to celebrate the opening of The Aberdeen. The father-and-son duo Taz and Geoff Anderson of Taz Anderson Realty Company who are the developers of The Aberdeen,a 14-story luxury residential high-rise in Vinings along with Atlanta Fine Homes Sotheby’s International Realty, who is the exclusive marketing firm for the Aberdeen hosted the event. To celebrate the opening, the Shepherd Center was presented with a special contribution and dedicated proceeds from the event’s silent auction to the center’s programs. 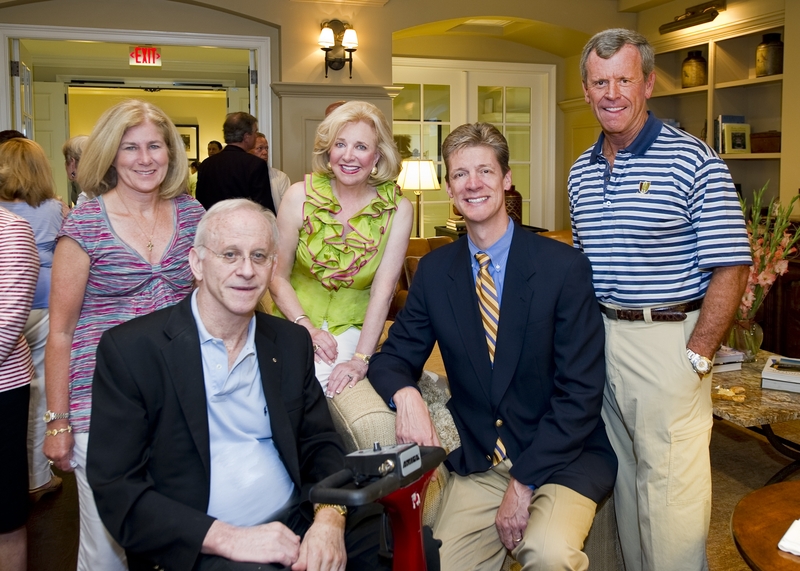 The Shepherd Center co-founders Alana and Harold Shepherd and their son James, was the inspiration for the nationally acclaimed treatment and research center for spinal cord and related injuries and illness and the Medical Director Dr. Don Leslie were honored guests at the Grand Celebration. 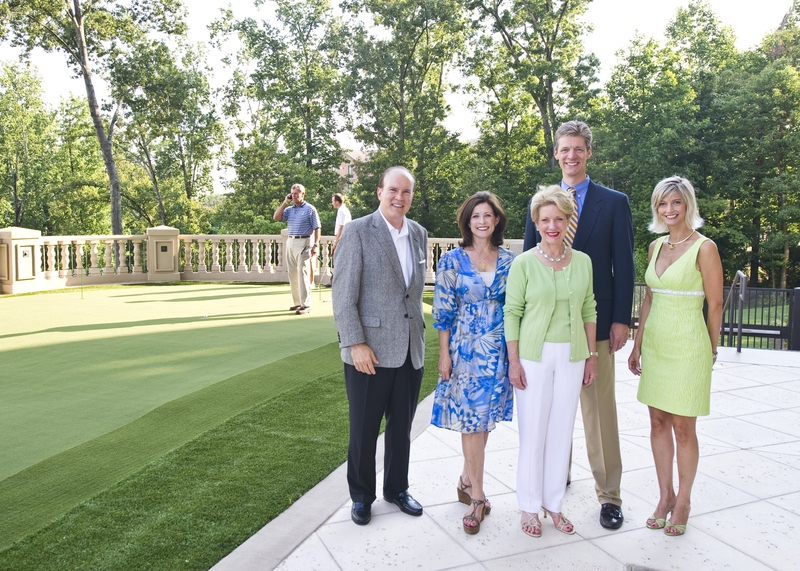 Linda and James Shephard, a co-founder of Shepherd Center and the inspiration for its establishment, with Jenny Pruitt, CEO and David Boehmig, President of Atlanta Fine Homes Sotheby's International Realty and Shepherd Center Medical Director Dr. Don LeslieExecutive Director Scott Sikes, Atlanta Fine Homes Sotheby's International Realty's Beverly Ricker, Senoir VP Nancy See, and President David Boehmig and Anne Schwall look on as the Putt Against the Pro Contest on The Aberdeen's private putting green began. Honored guests, Harold and Alana Shepherd and co-hosts and Aberdeen devolopers Geoff and Taz Anderson of Taz Anderson Realty. The developers of the St. Regis Atlanta have obtained new financing from blue chip investment bank Morgan Stanley, a rare sign of confidence in Atlanta’s commercial real estate market. 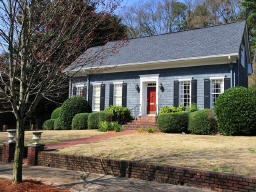 The deal replaces $176.5 million in financing from Morgan Stanley Mortgage Capital Holdings. The loan was originated in October 2006 to develop the St. Regis Atlanta, the 16th hotel for the historic chain, which was founded by John Jacob Astor in New York City. 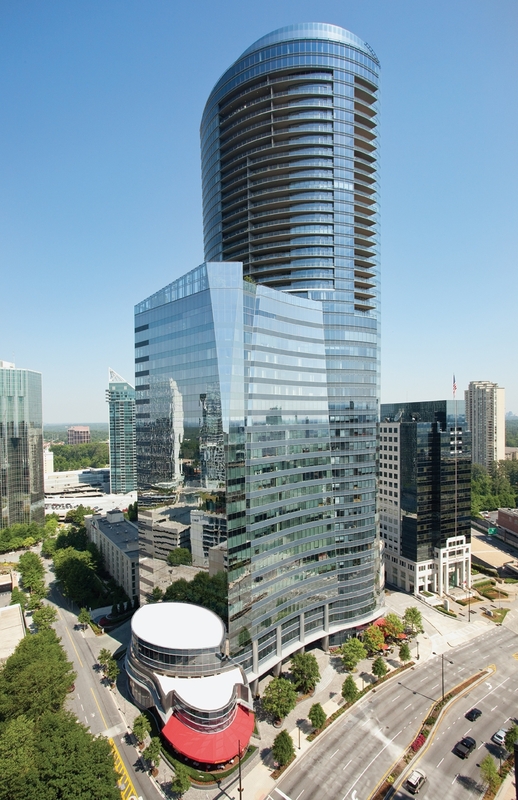 The debt that financed the construction of the St. Regis Atlanta would have come due in October, according to Databank Inc., a firm that tracks real estate transactions in Atlanta. 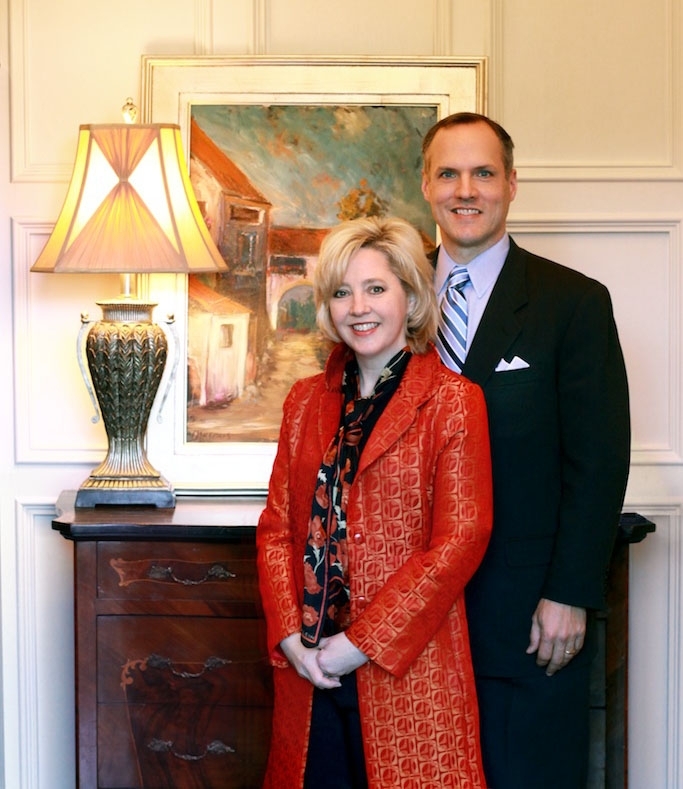 The new financing involves an undisclosed investment of new equity into the St. Regis, which includes 53 high-end homes and 151 hotel rooms overlooking West Paces Ferry Road, near the intersection with Peachtree Road. The deal was struck despite deep problems facing the country’s luxury residential and hotel sectors amid a slow recovery from the Great Recession. Developers have seen real estate prices collapse since the peak, putting their buildings under water. At the same time, much of that financing is coming due amid a much stricter lending climate, forcing borrowers to put significant equity into their projects to refinance, or risk seeing those properties go back to the banks. Sovereign Featured in Lonny Magazine! 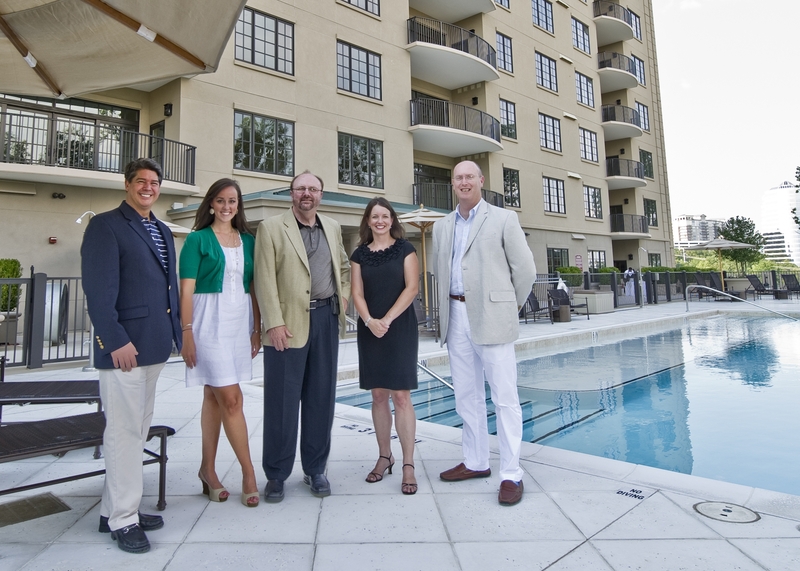 When the Sovereign Buckhead decided it was time to revamp their model home they knew just who to call: designer Lee Kleinhelter. As the owner of Atlanta’s home-goods store Pieces, as well as a resident owner at the Sovereign, she was eager to put her clever direction into making the condo model radiate with clean lines and “not too modern and not too traditional” touches. Kleinhelter breathed new life into the condo by ripping out the dull-blue carpet and centered her attention on creating depth through textures, accentuating the walls, and energizing the space with a flavorful shade of orange inspired by Hermes. Each Sovereign condo features strong angles and uniquel nooks and she was successful in making it look anything but an average staged model. She created a home that fuses the modern and the vintage and together permeates the warmth that every buyer craves. “I want this home to make you feel great, chic, and super happy” she says, and it seems by the response Sovereign is receiving, she has done just that. 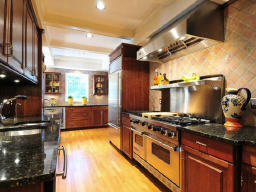 The first step in preparing to sell is to move everything out. 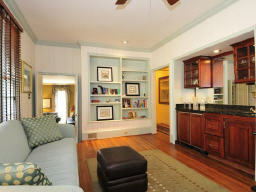 Once the house is clutter-free, paint everything the same color to visually expand the space. Lastly, when moving the furniture back, carefully edit and leave only the essentials. Less is more. Leave personal mementos in storage, otherwise potential buyers may feel like they are intruding on someone else’s space. Welcome to our new weekly blog feature: Sunday Sneak Peek! Each Sunday we will feature a “Best of Atlanta”-where will explore some well-known and lesser known gems that make our home in Atlanta such a fine city to live in! With a vendor list eight pages long, you are sure to find something sweet, something organic, something fresh and something even for your furry friend here! Plenty of parking! For a listing of all Georgia Farmer’s markets check out this site. Which Farmer’s Market do you love? Let us know!